For the professor of religion, see Bruce Lincoln. William Bruce Lincoln (September 6, 1938 – April 9, 2000) was an American scholar and author who wrote a number of widely-read books on Russian history. An expert noted for his narrative skills, he explained that he began "to write for a broader audience in the hope that my efforts to explain Russia's past may enable readers to better understand Russia's present.". William Bruce Lincoln, son of Charles A. and Ruth Lincoln, grew up was in Suffield, Connecticut. He had a brother named Charles. He received his A.B. degree from the College of William and Mary in 1960 and a Ph.D. in Russian history from the University of Chicago in 1966. In 1967 Lincoln joined the faculty of Northern Illinois University, where he taught Russian history until his retirement as Distinguished Research Professor at age 59. During his career at NIU he authored 12 books, several of which became featured book club adoptions and were translated into various foreign languages. He received many research grants and awards, including a Guggenheim Fellowship in 1982. He published more than 50 articles and reviews, and some of his books written for general readers sold more than 100,000 copies. At the time of his death, he was writing a general history of Russia. Nicholas I: Emperor and Autocrat of All the Russias (Allen Lane Penguin, 1978) ISBN 0-7139-0837-8German edition, 1981; Polish edition, 1988. The Romanovs: Autocrats of All the Russias (Dial Press-Doubleday, 1981) ISBN 0-385-27187-5 Spanish edition, 1984; Chinese edition, forthcoming. In the Vanguard of Reform: Russia's Enlightened Bureaucrats (Northern Illinois University Press, 1982) ISBN 0-87580-084-X Italian edition, 1993. Red Victory: A History of the Russian Civil War (Simon and Schuster, 1989) ISBN 0-671-63166-7Italian edition, 1991. The Great Reforms: Autocracy, Bureaucracy, and the Politics of Change in Imperial Russia (Northern Illinois University Press, 1990) ISBN 0-87580-155-2 Italian edition, 1993. The Conquest of a Continent: Siberia and the Russians (Random House, 1994) ISBN 0-679-41214-X German edition, 1996. Lincoln's The Conquest of a Continent: Siberia and the Russians was named "one of that magazine's best books of 1994" by Publishers Weekly. Fernanda Eberstadt of The Washington Post summarized the book Passage Through Armageddon, "[it is] an accessible, comprehensive and eminently balanced history". Post writer Jane Good summarized of the book Red Victory: A History of the Russian Civil War, "Covering all three topics in a single study of moderate length unfortunately results in a text that presumes more knowledge of Russian history than is typical of the general reader, yet glosses over details that would be of interest to the specialist. Nevertheless, Red Victory is worth reading by anyone willing to invest time and effort to better understand the Soviet Union" John A. C. Greppin of The New York Times listed it "as a notable book of year by The New York Times Book Review", saying "It is successful not because of a new analysis of fact but because of its author's abiding descriptive powers; he presents a vast warring frontier filled with people who, no matter how familiar their names and actions have become, often baffle us". Susan Jacoby also of the Post said of his book Between Heaven and Hell: The Story of A Thousand Years of Artistic Life in Russia, it "surely represents a rare triumph of atavistic editorial support for a serious historical work over the commercial bottom line" and saying he "is at his best on Russia's earliest cultural roots and on the emergence of an influential avant-garde between 1890 and the early 1920s" but also criticized, saying "the book is weakest on the post-Stalin era, reading too much like a cut-and-paste compendium of well-known literary biographies" and "failure to discuss the samizdat phenomenon at length". Three marriages ended in divorce. In 1984 he married Mary Eagle Lincoln, and together they cared for two daughters, Virginia Wallace and Mary Margaret Matzek. He died on April 9, 2000, at Kishwaukee Hospital in DeKalb, Illinois, of complications due to cancer. ^ "W. BRUCE LINCOLN". gf.org. Retrieved 4 February 2016. ^ a b Pace, Eric (April 14, 2000). "W. Bruce Lincoln, 61, Expert Who Enlivened Russian History". The New York Times. Retrieved 4 February 2016. ^ a b Pace, Eric (April 14, 2000). "W. Bruce Lincoln, 61, Expert Who Enlivened Russian History". nytimes.com. Retrieved July 3, 2015. ^ "DEATHS ELSEWHERE". washingtonpost.com. April 16, 2000. Archived from the original on July 5, 2015. Retrieved July 3, 2015. ^ "East or West? With this historical meditation on Russian identity, the late W. Bruce Lincoln secures his place as one of the leading historians of his generation. (Sunlight at Midnight: St. Petersburg and the Rise of Modern Russia)(Review)". The World and I. October 1, 2001. Archived from the original on September 24, 2015. Retrieved July 3, 2015. ^ "From the Czar to the Commissar". washingtonpost.com. October 5, 1986. Archived from the original on July 5, 2015. Retrieved July 3, 2015. ^ "THE RED AND THE WHITE". washingtonpost.com. January 14, 1990. Archived from the original on July 5, 2015. Retrieved July 3, 2015. ^ Johnson, George (January 6, 1991). "New & Noteworthy". nytimes.com. Retrieved July 3, 2015. ^ "FROM ICONS TO SAMIZDAT". washingtonpost.com. June 21, 1998. Archived from the original on July 5, 2015. Retrieved July 3, 2015. ^ "Historian to probe 'family secrets' at annual W. Bruce Lincoln lecture". niutoday.info. September 10, 2014. Retrieved July 3, 2015. ^ "Best-selling author, historian Timothy Snyder to deliver W. Bruce Lincoln lecture Sept. 19". niutoday.info. August 29, 2012. Retrieved July 3, 2015. ^ "Pulitzer-nominated historian of American West to deliver 10th annual W. Bruce Lincoln lecture". niutoday.info. September 10, 2013. Retrieved July 3, 2015. ^ "PROMINENT HISTORIAN WALTER LAFEBER TO DELIVER W. BRUCE LINCOLN ENDOWED LECTURE". Federal News Service. March 17, 2006. Archived from the original on September 24, 2015. Retrieved July 3, 2015. ^ "Prominent historian, author John W. Dower will deliver W. Bruce Lincoln lecture Sept. 21". niutoday.info. September 8, 2011. Retrieved July 3, 2015. ^ "YALE HISTORIAN OF CHINA TO DELIVER W. BRUCE LINCOLN LECTURE". Federal New Service. October 1, 2009. Archived from the original on September 24, 2015. Retrieved July 3, 2015. ^ "PROMINENT UNIVERSITY OF CHICAGO HISTORIAN TO DELIVER W. BRUCE LINCOLN LECTURE". Federal News Service. October 16, 2010. Archived from the original on September 24, 2015. Retrieved July 3, 2015. ^ "HISTORIAN LIZABETH COHEN OF HARVARD TO DELIVER W. BRUCE LINCOLN ENDOWED LECTURE ON NOV. 30". Federal News Service. November 20, 2006. Archived from the original on September 24, 2015. Retrieved July 3, 2015. Lee Congdon, "W. Bruce Lincoln, 1938-2000," Slavic Review (Spring 2001) 60 no. 1, 229-230. Carl August Sandburg was an American poet, biographer, writer, and editor. He won three Pulitzer Prizes: two for his poetry and one for his biography of Abraham Lincoln. During his lifetime, Sandburg was widely regarded as "a major figure in contemporary literature", especially for volumes of his collected verse, including Chicago Poems (1916), Cornhuskers (1918), and Smoke and Steel (1920). He enjoyed "unrivaled appeal as a poet in his day, perhaps because the breadth of his experiences connected him with so many strands of American life", and at his death in 1967, President Lyndon B. Johnson observed that "Carl Sandburg was more than the voice of America, more than the poet of its strength and genius. He was America." 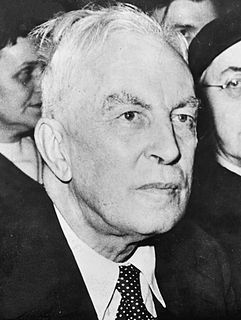 Arnold Joseph Toynbee, was a British historian, philosopher of history, author of numerous books and research professor of international history at the London School of Economics and King's College in the University of London. Toynbee in the 1918–1950 period was a leading specialist on international affairs. 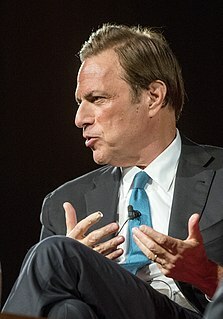 Michael Richard Beschloss is an American historian specializing in the United States presidency. He is the author of nine books, the most recent of which, Presidents of War, was published by Crown/Penguin Random House in 2018. Paul Klebnikov was an American journalist and historian of Russian history. He worked for Forbes magazine for more than 10 years and at the time of his death was chief editor of the Russian edition of Forbes. His murder in Moscow in 2004 was seen as a blow against investigative journalism in Russia. Three Chechens accused of taking part in the murder were acquitted. Though the murder appeared to be the work of assassins for hire, as of 2018, the organizers of the murder had yet to be identified. Eric Foner is an American historian. He writes extensively on American political history, the history of freedom, the early history of the Republican Party, African American biography, Reconstruction, and historiography, and has been a member of the faculty at the Columbia University Department of History since 1982. He is the author of several textbooks commonly used in college-level American history courses across the United States. Andrew Roberts is a British historian and journalist. He is a Visiting Professor at the Department of War Studies, King's College London, a Roger and Martha Mertz Visiting Research Fellow at the Hoover Institution at Stanford University and a Lehrman Institute Distinguished Lecturer at the New York Historical Society. Roberts was educated at Gonville and Caius College, Cambridge where he earned a first-class degree in Modern History. Phi Alpha (ΦΑ) is a men's Literary Society founded in 1845 at Illinois College in Jacksonville, Illinois. It conducts business meetings, literary productions, and other activities in Beecher Hall, the oldest college building in the state of Illinois. Timothy David Snyder is an American author and historian specializing in the history of Central and Eastern Europe, and the Holocaust. He is the Richard C. Levin Professor of History at Yale University and a Permanent Fellow at the Institute for Human Sciences in Vienna. Snyder is a member of the Council on Foreign Relations and the Committee on Conscience of the United States Holocaust Memorial Museum. Allen Carl Guelzo is an American historian who serves as the Henry R. Luce III Professor of the Civil War Era at Gettysburg College, where he serves as Director of the Civil War Era Studies Program. Edward Lynn "Ed" Ayers is an American historian, professor, administrator, and ninth president of the University of Richmond, serving from 2007 to 2015. In July 2013, he was awarded the National Humanities Medal by President Obama at a White House ceremony. Robert Vance Bruce was an American historian specializing in the American Civil War, who won the 1988 Pulitzer Prize for History for his book The Launching of Modern American Science, 1846–1876 (1987). After serving in the Army during World War II, Bruce graduated from the University of New Hampshire, where he earned his Bachelor of Science in mechanical engineering. He received his Master of Arts in history and his Doctor of Philosophy from Boston University, where he was later a professor. He also taught at the University of Bridgeport, Lawrence Academy at Groton, and the University of Wisconsin. Bruce was also a lecturer at the Fortenbaugh Lecture at Gettysburg College. The Fiery Trial: Abraham Lincoln and American Slavery is a historical non-fiction book written by American historian Eric Foner. Published in 2010 by W. W. Norton & Company, the book serves as a biographical portrait of United States President Abraham Lincoln, discussing the evolution of his stance on slavery in the United States over the course of his life. The Fiery Trial, which derives its title from a State of the Union address by Lincoln, was the 22nd book written by Foner, the DeWitt Clinton Professor of History at Columbia University. It was praised by critics and won the 2011 Pulitzer Prize for History, the Bancroft Prize, and the Lincoln Prize.